Monday 17 October 2016 Merseyside. 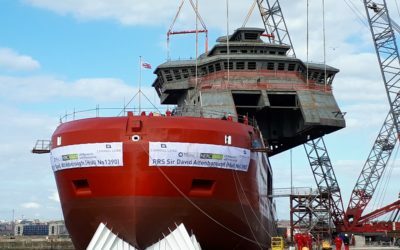 The new state-of-the-art polar research ship, RRS Sir David Attenborough, reaches its first construction milestone this week with the ceremonial laying of the keel. 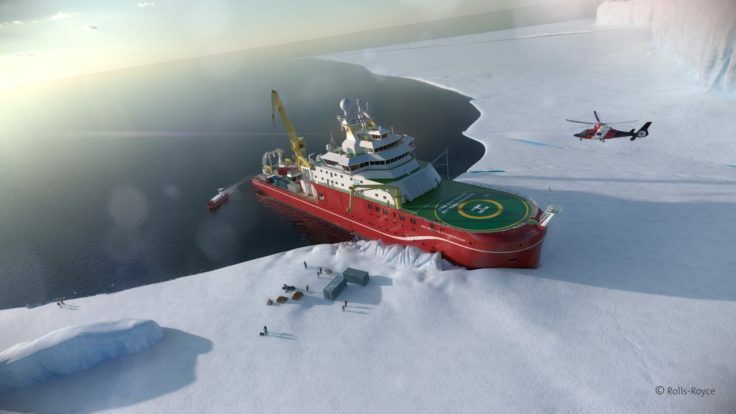 Commissioned by NERC (Natural Environment Research Council), operated by British Antarctic Survey (BAS), and built by Cammell Laird, the RRS Sir David Attenborough will transform UK polar research capability. When she becomes operational in 2019, the new ship will provide a research platform from which scientists will tackle some of the most important issues facing humanity, including climate change, future sea level rise and the impact of environmental change on marine biodiversity. Construction will be officially started by world-renowned naturalist and broadcaster Sir David Attenborough, after whom the ship is named. Sir David will start the “keel laying” process by initiating the lifting by crane of the first hull unit, weighing approximately 100 tonnes, on to the construction berth. This unit includes part of the ships keel and bottom shell plating and is the first of 97 units which will be erected to form the entire hull of the research ship. This new ship will be a research platform to enable scientific investigations that are deeply relevant to society. 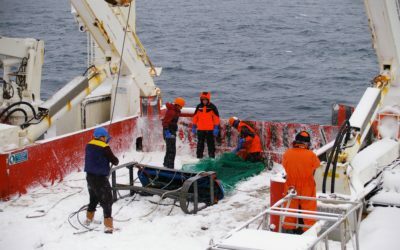 State-of-the-art facilities and robotic technologies, designed to measure the impact of global change on our oceans, marine biodiversity and climate, will ensure that Britain remains at the forefront of polar science. 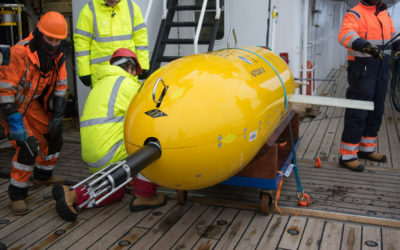 One of the new technologies that will be deployed from RRS Sir David Attenborough is the National Oceanography Centre’s (NOC) Autosub Long Range (ALR) Autonomous Underwater Vehicle which will be used by oceanographers to measure ocean and seabed properties over ocean scales. 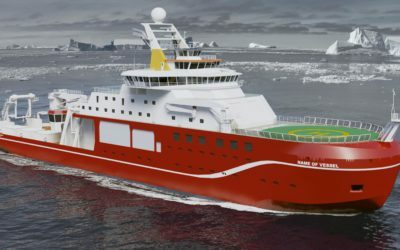 This ALR will be named Boaty McBoatface and will be the focal point on a new £1m Government-funded Polar Explorer Programme, an educational initiative that aims to inspire the next generation of scientists, engineers and citizens by engaging young people with the RRS Sir David Attenborough and polar science. 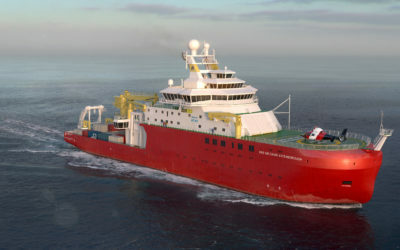 “The RRS Sir David Attenborough, with Boaty McBoatface operated from her as a robotic underwater vehicle, will be one of the most advanced research ships in the world.  It will help inspire the next generation of scientists in the UK and build on our status as one of the world’s leading nations in polar science, engineering and technology. “It is a great honour to welcome Sir David and so many distinguished guests to Cammell Laird for this auspicious day. We are particularly proud that our entire workforce, management and staff were present to witness the milestone. This first section of hull represents the start of hull number 1390 at Cammell Laird, the latest in the sequence of vessels built by this yard from ocean liners to warships. Keel laying is a maritime engineering tradition that formally marks the start of a ship’s construction with a ceremony that is said to bring luck to the ship during construction and to the captain and crew during its later life. 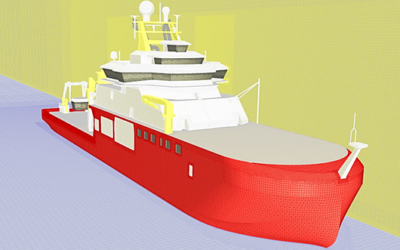 £200 m investment for a new polar research ship and a number of associated polar infrastructure projects to support it. 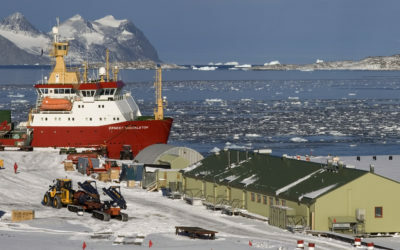 This comprises approximately £150m for the ship itself and £50m for the associated projects such as a new wharf at Rothera Research Station on the Antarctic Peninsula.